Order t-shirts, sweatshirts, and mugs directly from Zazzle. Choose your shirt size, sleeve length, and color. It’s easy! Order checklists, books, and brochures from the KOS Business Manager. $10.00, includes shipping, handling, and sales tax. 10 cents each, postage extra dependent on number ordered and shipping destination. Call or e-mail for estimate. 15 cents each, postage extra dependent on number ordered and shipping destination. Call or e-mail for estimate. KOS Brochure, print a copy for a friend or order several to share with your local birding store, nature center, or park. Make check payable to KOS; no cash or credit cards. 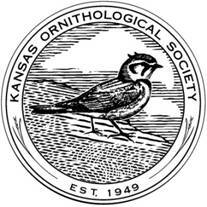 All proceeds go to the Kansas Ornithological Society.